With the advancement of technology, comes the boom of the work-at-home era. And with the price of groceries, gas and services on the rise, everybody is looking to make extra money to be able to make ends meet or to make enough income to escape their bosses. There are many ways to make money online but today, I will be discussing a fairly popular transcription website, Scribie. What is Scribie, though? Is it worth your time to work for them and make money? Can it replace your full-time income? Let’s find out in this latest review of Scribie for 2018. Scribie is a transcription website. Transcription is the process of turning an audio / video file into written text or a script, mainly involving conversations, conferences, interviews and such similar files. Scribie only accepts audio files at this time. Scribie has dual purpose; you can sign up either as a customer or as a transcriber. As a customer, you would be able to submit files to Scribie and get your audio transcribed. As a transcriber, you will be able to transcribe for Scribie and make money. This review will talk more about transcribing with Scribie. Once you sign up, you will be sent a confirmation email, where you will be required to click the link to confirm your email address and to complete your application. From then on, it will take 1 business day for Scribie to either accept or reject your application. The only reasons that Scribie would reject your application is if you don’t meet the above requirements and if you have tried to join Scribie more than 10 times, as after trying that many times, you are no longer eligible to ever apply again. Once accepted, you will be placed on a waiting list for a transcription test. The test is necessary in order to determine you are a real person on the other side and to also see your level of competency in this field. The test is not timed but there are a few instructions given on the format to follow. Scribie is very strict when it comes to this format and the accuracy of the file you submit for review. If you follow the instructions to the T and make sure your level of accuracy when transcribing is high, then you should have no problem getting accepted. One thing to note as well, is that if you pass the test, you will be paid for the test transcription and if you don’t pass, then you won’t get paid and will be invited to try again. A word of caution; many people have reported getting a very hard file to transcribe because of background noise, thick accents, foreign language in between as well as people insisting of talking over each other, and all this has a direct contribution on how well you do. Now that you are accepted, you will be given a list of jobs that you can choose from. Scribie does not assign work and I like how you are able to select which file you want to work on. You get to listen to a short preview of the file before choosing it, to see if this is something that you can work on or not. The files are generally under 6 minutes. But keep in mind that you cannot type as fast as somebody is talking; it is simply impossible. So a 6-minute audio file, depending on how clean the file is, can take you anywhere from 12 – 30 minutes to transcribe, if not longer. But do not be discouraged because Scribie wants to make the job easier for you. With each file that you accept, you will also receive a machine automated transcript, which will make your job easier and faster. But keep in mind that as it is machine generated, that if the file is not clean, that you may need to make a lot of corrections. You generally have to submit a finished transcript within 2 hours of accepting the file, which is reasonable given the length of the files. It is then reviewed by a reviewer, then a proof reader and a Quality Controller, who will give you a score. If the file is totally unacceptable, you will be asked to make the corrections and submit again. If the file is good to go, it will be delivered to the client and you get paid! As mentioned above, it is free to sign up with Scribie. Beware of those places that ask you for money in order to be given work because you should never be PAYING to work; they should be paying YOU! For 1 audio hour that you transcribe with Scribie, you could be paid from $5 – $25 depending on how many you are able to complete within 1 day. But you shouldn’t confuse 1 audio hour with 1 work hour because they DO differ. An audio hour is the total length of all the files added together to make equal 1 audio hour; for example, if you transcribe 10 audio files, each at the 6-minute mark, then that would make 1 audio hour. BUT as I explained earlier, it won’t take you 6 minutes to transcribe a 6-minute audio file. Taking the best possible time to transcribe a 6-minute audio file, it would take you 12 minutes, meaning 2 times as long. So, 1 audio hour would take you 2 hours to complete, which means that you could be earning as low as $5 for every 2 hours of work. But keep in mind, that not all audio files will be clean and therefore would take you much longer to transcribe. Everything seemed very good up until this point and the amount of work to be done for only $5 seems like too much of a hassle. Let me also tell you that the industry standard is between $40 – $60 per audio hour, so Scribie pays way less than what you should be paid. You may argue that this is way below minimum wage and that it is illegal. Sorry to prove you wrong, but when you work for Scribie, you are a contractor, not an employee. As a contractor, you are paid by the job, even if it is below minimum wage and also keep in mind that you will need to file your own taxes separately. Scribie is the lowest-paying in this industry, compared to other transcription websites. They used to pay $10 per audio hour and have reduced even further and the reason for that, I am guessing, is due to the automated transcript that they recently implemented that makes transcribers’ jobs easier. Is there a way to make more money? Yes! There are a few ways actually but I still don’t think that they will be worth your while. Let me go over the options so you can better see what I mean and you can make a decision. If you are a very good transcriber with a rating of more than 3, you can eventually become a reviewer and review other transcribers’ files and give THEM ratings. This will allow you to make a little more money, on top of your own transcriptions. Then don’t forget that higher up, you will have a proofreader, who will give you a score based on how well you are scoring others and based on the mistakes that you are able to catch or miss. If you consistently deliver, then you will become a proofreader, with a little bit more earning potential. At this stage, you can transcribe, review others’ work and review reviewers’ work as well. You are working more than 40 hours a week, and only making $1000 a month, at best. If you have a full time job already and have nothing to do in your spare time, then this may seem like a decent way to supplement your income. But it does not leave you much time to do much else. How long would you realistically be able to work 16 hours a day before you start feeling tired? And if you don’t have a full-time job now, it is okay to start making money with Scribie, but how long are you going to work full-time at home for part-time pay? It is bette than nothing, but in my opinion, it is not a sustainable way to make money for the rest of your life in either case. Some people have been able to make this work as part of their lifestyle, but they are okay with only making $500 extra per month. Still, they do complain about how low the pay is and many are still looking at other companies online, where they can make more. A lot of people are also complaining about how unfair and harsh some of the reviewers are and how inconsistent. Many are saying that a file that they have done a very good job on, end up somehow getting a review of 2 while some sloppy work due to bad audio are getting a 4, or even a 5. Many of those who work for Scribie, also complain about the time that it takes for their dispute to get resolved. A dispute can be submitted if you disagree with the marking and the corrections made by a reviewer. The work take a long time to get reviewed but ultimately, either Scribie will side with you or with the reviewer. If your side is taken, then your marks will be bumped and the reviewer gets dinged and if it is the other way around, then everything stays as it it. One extra word of caution; if you get too many disputes as a reviewer and are found to be marking unfairly too many times, you could be banned from ever working for Scribie again. Scribie is a good way to start your venture into transcription to see if this is something that you are good at or passionnate about but working with Scribie long-term will not really make your situation better. You either have to sacrifice your spare time to make an extra $1000 a month or you gotta sacrifice your full-time job to be able to have time for yourself and work from home. It will definitely build your experience when you are trying to apply with other companies in the same industry, but the experience is all the positive that I can see when working with this company. The pay is just too low and is okay for somebody looking to make some extra pocket money but is certainly not adequate for somebody trying to make a full-time living from home, unless you still live in your mother’s basement (no offense meant and HEY, you’re saving money by doing that too!). To be honest with you, I would rather work a second job for 2 – 3 hours a day and make an extra $1000 a month, instead of sacrificing all my spare time to make Scribie work. But… I have found an even better way to not only make a full-time income from home, but to also live the life of my dream. Don’t get me wrong, it is not a get-rich-quick scheme. This really takes time and effort, but pays off in the long-run AND you can make a living from anywhere in the world as long as you have a computer and an internet connection. This way of making money has only recently gained popularity and it is called affiliate marketing. 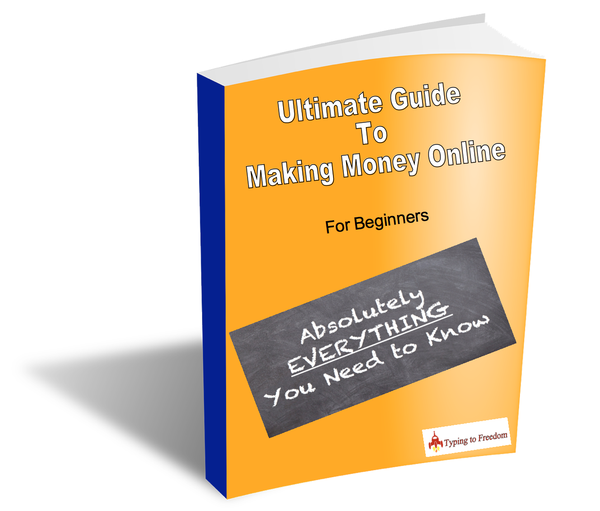 If you have not heard of this way of making money online, then I recommend that you READ ON WHAT IT IS AND HOW IT WORKS HERE. This sounded really simple to me, a person who has been victim to quite a few scams. Finding a legitimate platform where I could learn affiliate marketing proved to be quite a chore but I did find it in the end. It is called, Wealthy Affiliate! Free to start, this platform teaches you step-by-step on how to set up your website properly and how to monetize it. Not only are you given the tools but you are also given the support from a community of experts who are accessible 24/7 to answer questions you may have. This website itself has been built around what is taught there! I can tell you that I have not looked back since I joined and I am well on my way to financial freedom! I hope I was able to give you the information you needed to better understand what Scribie is all about and whether it is the right decision for you to work for them. If you are interested in Wealthy Affiliate, I highly recommend that you take a look at the free trial. I don’t make any money when you sign up as a free member so you can rest assured that I am genuinely recommending this platform because it simply works! I really wish for your success! Previous Post Is 12 day millionaire a scam? – The Truth Exposed Here!